As overlanders and off-roaders look for more remote places to discover and more trails to conquer, winches have evolved over time to become an important tool that is used from rig to rig. Primarily designed for 4x4's and pickups, there are many types of winches to choose from with early three dozen winches available on the market that range in their capacities from 1,500 to 16,500 pounds. You might be aiming to purchase the best 4x4 winch available, but which one's the best will depend on a lot of factors! When you make this type of investment, you want to make sure you have considered all the facts when you select a winch. One thing that is important to keep in mind is that the winch that might be right for someone else, it isn’t necessarily right for you. Even though the perfect winch would be lightweight, inexpensive, durable, and always run cool, you have to be practical and realize most new models are a good compromise between the ideal and reality. A winch is used to pull objects or vehicles out of muddy or snowy situations. By using a rope that is wound up onto a winch drum, an electric or hydraulic system is used to pull the stuck vehicle out of the mud or snow. 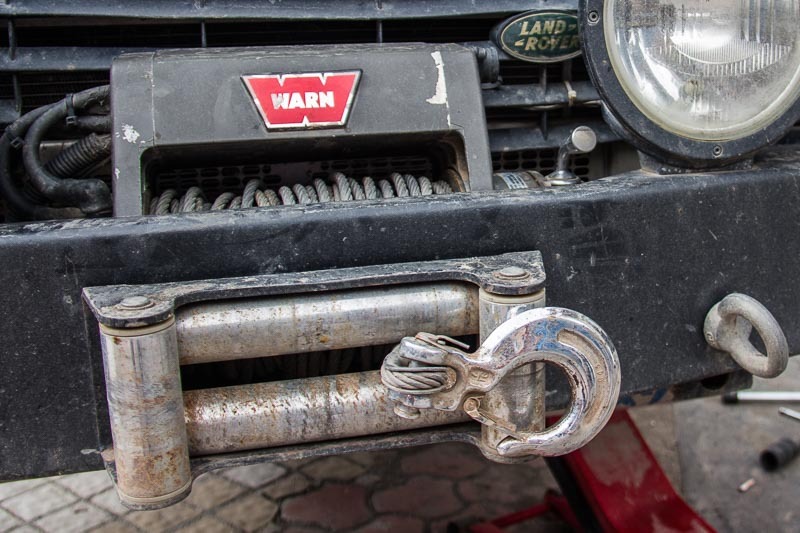 Commonly seen on tow trucks, nowadays, winches are also popular among individuals who may encounter a situation where their vehicle will get stuck while enjoying off-road adventures. How Will You Be Using the Winch? Most people choose to carry a winch as a safety feature in case they get stuck in the mud in a remote location. This is a great reason to have a winch, but you also need to look at how long it will take you to perform the recovery process. For those that have time, you may want to add some other techniques that will help to increase your pulling power. Techniques like a double line pull slows down your recovery progress significantly but doubles the pulling power of your winch. 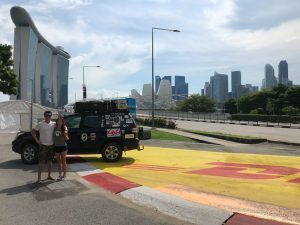 This type of technique is good for those people that are more than your average traveler, and for those that enjoy taking their 4x4 out to have fun and test the vehicle’s limits. A large winch with a fast line speed and motor will let you push your winch harder to get your rig out of difficult situations. If speed is important to you, then you want to make sure to buy a larger winch. Remember that you want your load to be smaller in comparison to the overall capacity of the winch so that it will spool in faster and put less stress on your winch. Even the best 4x4 winches can fail if they are overloaded. That's why the gross vehicle weight is a very important factor. What’s your Gross Vehicle Weight? Choosing the best 4x4 winch starts with figuring out how you plan to use it. You also need to determine your GVW, or Gross Vehicle Weight, which you will usually find on the riveted metal tag on your driver’s door. Add any weight of accessories or modification to come up with your working GVW rating so you can decide on the sufficient amount of winch for your vehicle. Once you have figured out how much of winch you need, add about 30 percent to your working GVW. So, if you have a 6,700-pound GVW, you will be looking at a winch that gives you the working load capacity of at least 8,000 pounds. To be even safer, look for a winch that has 50 percent added pulling power than your rig’s working GVW. Another factor to consider is the weight on the front end of your vehicle. Don’t go for a winch that weighs a lot if you do not have the suspension to support it, so it will carry an additional load easily. If you have a winch with synthetic rope, you will increase the weight of your front end somewhere between 55 and 65 lbs. 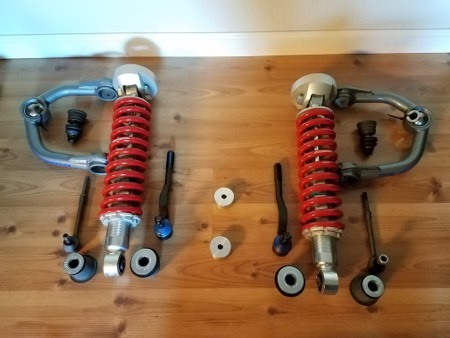 If you also add a steel cable, you will add another 20 to 35 lbs (on top of what you would've added with a synthetic rope) and even though this may not sound like a lot, it can substantially impact the front suspension, and the handling of your rig. 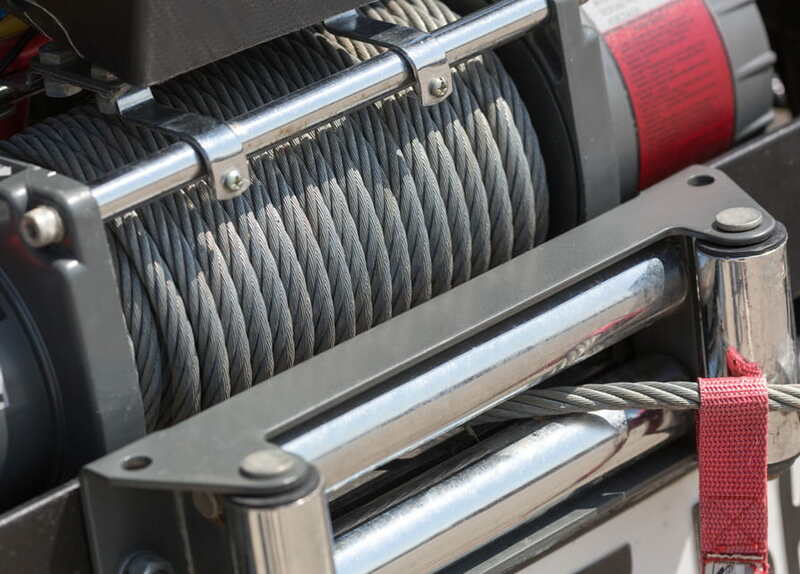 The best 4x4 winches on the market can be chosen either with synthetic ropes or steel cables. Believe it or not, there are times when the bigger is better theory works for a situation. This is one of them. Even though you may only use a winch once in a while, it is better to have one that is bigger than you think you may need. When you move a winch to the next size up from what you think you really need, you will actually be putting a lot less strain on the winch. Burn out of the solenoid is one of the most common failures of a winch. This is caused by the motor of the winch drawing too much current over a long period of time. When you have a larger winch, you will have a longer useable winch time which means there is less chance of overheating. You may also get a big increase in performance and in the lifespan of your winch from just a small size increase. It’s also important not to try and save money by buying a smaller winch than you need. Remember, when your vehicle gets stuck, you will need a lot of pulling power right away that is over the rig’s weight to get it moving. So buying a winch that is rated up to 30 and 50 percent over your rig’s weight is a better idea. The winch drum is a vital part of the winch as it is the part that the cable winds around. The larger the working diameter of the drum, the less the winch has the ability to pull due to the height of the gear. This explains why the winch’s pulling power is rated at the cable’s bottom layer wrapped around the drum since the top layers are where most of the short pulls start. The second layer of cable is generally above the bottom and slashes the rated pulling power of the winch by almost 20 percent. The other layers lessen the effect of the pulling power by around 10 percent for each wrap. So, if you have a winch with an 8,000-pound capacity, you may only be able to pull 6,500 with the next layer of cables, while the third layer gives you 5,500 pounds, and then only 4,800 pounds on that outer wrap. That’s a considerable amount of pulling power variance that could mean the difference between being stuck or not. So if you want the best 4x4 winch, you do need to consider the size of the drum. Another consideration is the vehicle’s electrical system and what it will allow the winch to pull. Even if you know the winch’s rating, it won’t matter if you have a weak battery. In that case you will also have a weak winch. Your battery should have a large reserve capacity and cold cranking ability to make it easier to give the winch motor the juice it needs to work at optimal efficiency. With all batteries being equal, the winch motor should take care of the rest with its gear-case design. You will find that worm-and-gear winches are bulkier than their slim planetary-gear counterparts. The gear system will make all the difference when it comes to its wrapping, and winches that use this are more efficient and compact for their size. For these type of units, an electric motor is used to wind up an electric winch. This is the most common winch that will come with one of two motors. A permanent magnet motor is lightweight, compact, and efficient that generates torque with a permanent magnet. However, compared to the series wound motors, permanent magnet motors overheat easier. The downside of series wound motors is that they use more current. Electric winches are also less expensive, widely available, and are pretty durable. However, they can overheat with prolonged use, so if you plan to use it all day long, you may have a problem with the electrical system of your vehicle. Heavy-duty and resistant to fatigue, hydraulic winches also do not have problems with weak vehicular electrical systems or overheating. If you want to use a winch frequently, like a tow truck, a hydraulic winch is the best choice. Hydraulic winches do have some drawbacks. They are less common than an electric winch, and there are only a few manufacturer options when it comes to hydraulic winches. Plus, they are operated with the power steering pump, so the engine must be running to use a hydraulic winch. 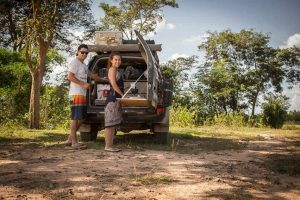 We think however, that for a typical overlanding trip an electric winch is more than sufficient as you wouldn’t use it all day long, only rarely, in very tricky situations. A wisely chosen electric winch should be able to handle that. 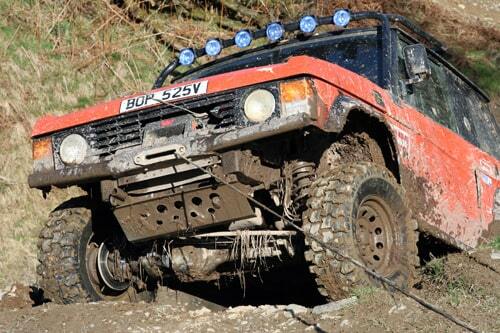 Considering all the factors in this section, the best 4x4 winch today is electric. Most winches will come with a remote control which is handy when you get stuck and easier to use than a hand crank. If you lose your remote control or you purchase a winch without one, it is possible to purchase a universal remote that will work with it. Remotes allow you to operate your winch from a safe distance usually up to about 50 feet. Cable is usually a long-lasting and durable product that allows heat to dissipate from the internal brake drum. Even though it tends to be less expensive, a cable can also be difficult to handle, heavy, and will store more kinetic energy than a synthetic rope. It can also develop barbs, rust, kink, and it is difficult to fix it in the field. Synthetic rope is made of altered polypropylene material that comes with a stronger breaking strength in tension. Similar in size to cable, synthetic rope is lighter, stronger, easier to handle, won’t rust, and is available in different colors. It will also float and is simpler to fix it. However, synthetic rope won’t dissipate heat which can affect the brake on the winch, is subject to abrasion, and can retain water and freeze. It will also need a sheath to protect it from sunlight and debris. 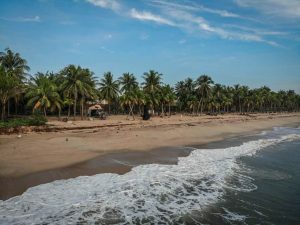 Synthetic rope is also degradable by UV rays, can degrade at 150 degrees, and it can be cut internally by sand and dirt so it will need to be cleaned. Plus, it’s more expensive than cable, so there are lots of cheap imitations available on the market. 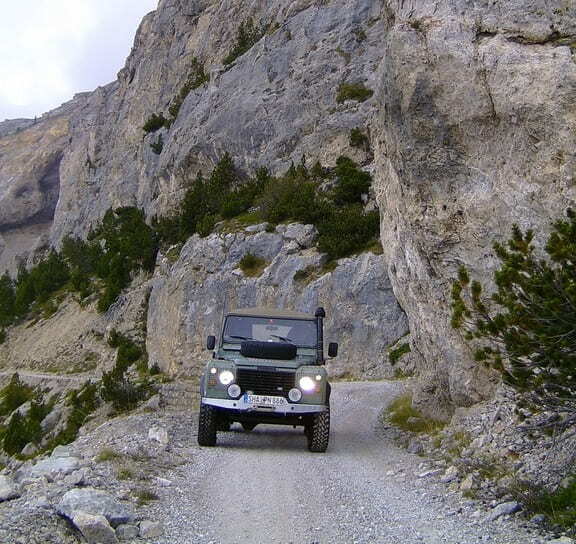 Another important consideration is the mounting location for your winch. For those that don’t live near snow or mud and never go off-road, you can probably use a behind-the-factory-bumper-mount or a low-mount. This will keep the front of your vehicle tidy, and it can retain its factory-stock look. If you do go off-road, you will want your winch far off the ground with a bumper mount that won’t interfere with the approach angle of the vehicle. You get less airflow if you place the winch in the front which can be a problem in warmer climates where radiators need more airflow so the engine won’t overheat. If you want a winch ready to use when needed, a receiver-style winch is perfect as it won’t hang off your vehicle when it’s not in use. Plus, they are lightweight and compact so they can be moved from one vehicle to another. How to Use a Winch Correctly? 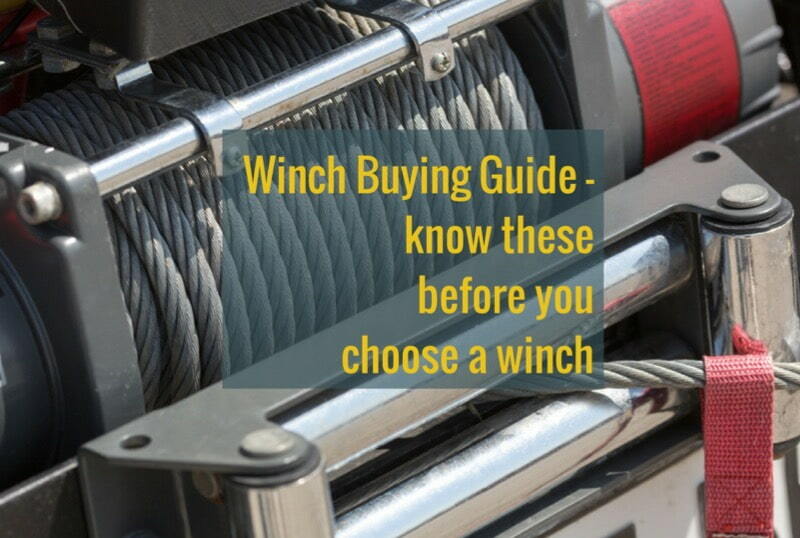 Finding the right winch can be a hard decision, so make sure to take your time and do your research before you buy. 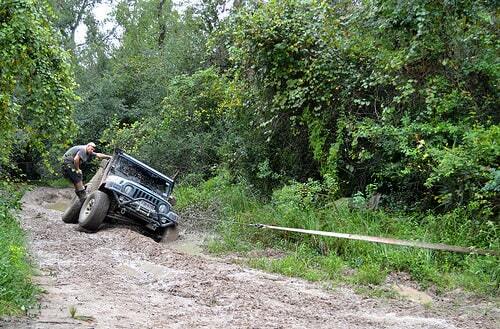 Here are a few tips on handling a winch correctly. Always wear leather gloves when handling cable. Make sure to keep your hands far away from the cable drum and fairlead. Before applying power, make sure to double-check the shackles, hook, and clevis. Keep observers off on the side of the winching operation at least 50 feet away. In case the cable becomes loose under the load, make sure to place a winch weight as a damper over the midway point of the cable. Do not stand next to the winch when it is operating as you in the cable’s direct line and right in front of the vehicle. Make sure the winch cable is never attached to a tow ball. Do not use more than 3 cable wraps on the drum when winching. To keep the motor cool, use long pulls with short winching surges. Make sure to inspect the winch cable before winching to guarantee there are no kinks or frays. If a vehicle is being winched uphill, do not walk or stand behind it. Choosing the best 4x4 winch for you really depends on how you plan to use it. 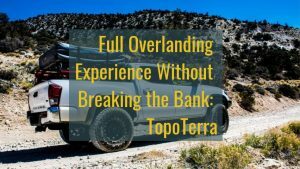 If you have an overlanding trip planned, remember that it is important to minimize stress on your vehicle. Since your goal is to avoid being stuck, always take the easiest route when possible and only tackle challenging conditions when there are no other options. Make sure you have a high-quality winch and not just a cheap knockoff. You don’t want to get into a situation only to have your winch seize up from non-use or just perform poorly. This is one situation where you want to make sure you have a reliable and durable winch to get you safely back on the road. When choosing a winch for your vehicle, there are a lot of things to consider. Make sure you do your research and get the right sized winch for your vehicle. Remember that going bigger is always a better option when it comes to winch size, and it can be the difference between being stuck or getting back on the road. Ground clearance, off-road tyres and suspension are not enough in the trickiest situations. That is when a winch can come to the rescue.